Calathes sets playoffs assists record with 16! 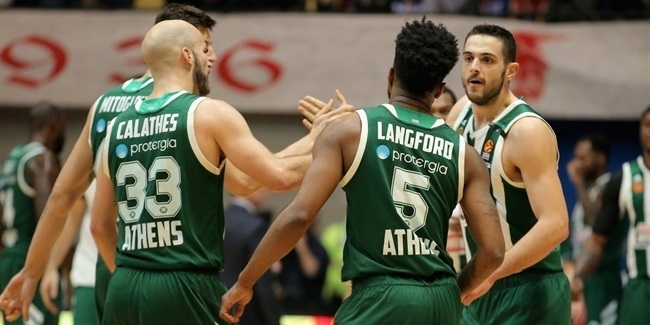 Nick Calathes of Panathinaikos Superfoods Athens kept his record-breaking season as a passer going strong by setting a new Turkish Airlines Euroleague Playoffs mark and career high with 16 assists in a resounding 95-67 Game 1 victory over Real Madrid on Tuesday. Those 16 dishes surpassed the existing playoffs record of 15 set by Thomas Heurtel with Anadolu Efes Istanbul in 2015. What's more, Calathes got all of his assists in the game's first three quarters and did not return to action after that. 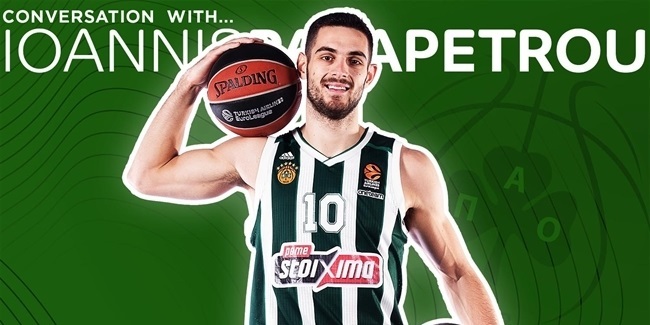 Calathes had 7 assists at halftime as he sparked Panathinaikos to a blistering 20-0 lead out of the gate that held up at 46-30 by the break. But his and his team's best quarter was the third, which Panathinaikos won 31-14 while Calathes dished 9 more assists. Calathes got the record-breaker on a long pass to Adreian Payne on the final play of the quarter for a 77-44 score. Only 21 players previously had as many as 9 assists in any entire EuroLeague Playoffs game. His 16 assists in Game 1 continue to add to the season-total record that Calathes set in mid-March with his 202nd of the season. After Tuesday, Calathes now has 235 total. His 11 points in Game 1 also meant that Calathes now has 11 double-doubles in points and assists, another record he recently broke and keeps adding to. Tuesday's was the fifth game this season in which Calathes has dished 12 or more assists – surpassing all the rest of the EuroLeague's passers combined. His 16 assists were also the third-highest total in an game in EuroLeague history, trailing only a pair of Crvena Zvezda mts Belgrade players. Stefan Jovic has the record of 19 from the 2015-16 season, while Marcus Williams dished 17 one season earlier for the same team.